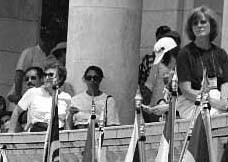 In 1979, far-sighted leaders, recognizing that local groups need national support, started the National Council of RPCVs. In 1993, NCRPCV renamed itself NPCA, strengthened its staff , and began to appoint Directors with national experience. After the passions of the Vietnam era and Committee of Returned Volunteers burned out, RPCVs organized groups locally and by countries-of-service in the mid-1970s. In time, several group leaders met in Omaha NE with the intent of making local groups more effective by creating a supplementary national organization. Local Groups have unique strengths: detailed knowledge of members, designing local events, serving RPCVs face-to-face, cooperating with Peace Corps Regional Offices ("Welcome Bank/Send Off" events) and like-minded organizations, and advocating with news media and legislators in their home offices. Country of Service groups support projects in their host countries, inform Members of news there, and assist in reunions; in times of need, some lobby US Government agencies and Congress on behalf of their countries. A national association also has unique strengths and possibilities, notably: organizing national conferences, advocating on Capitol Hill and with federal agencies, frequent liaison with Peace Corps headquarters, offering career networking services with national scope, assisting Groups through accounting and advisory services, representing RPCV populations large enough to negotiate travel and insurance services, producing professional publications, tracking and recognizing RPCV achievements worldwide, attracting endowed funds and overseeing their prudent investment, and attracting funds for projects such as a National Peace Center. In its early years, the National Council was established by dedicated volunteers and managers, such as Tim Carroll, working mainly with shoe-string budgets and large imaginations. Board members often served not only as Directors, but also, as in many startup nonprofits, as unpaid consultants, and sometimes in effect as staffers. 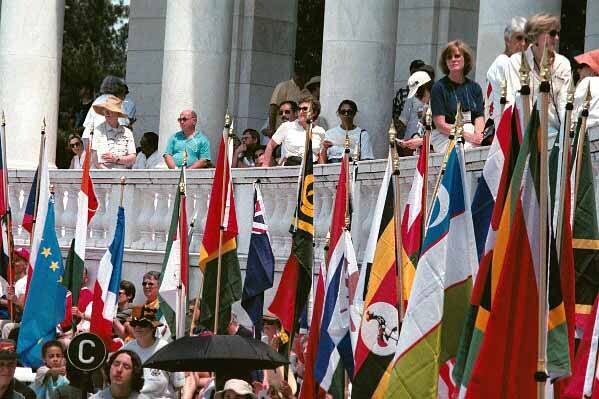 In 1993, the Council broadened its vision and name to welcome former Peace Corps staff, families, and friends. Because experience showed that electoral uncertainties did not provide a reliable flow of needed professional and business skills, the by-laws were amended to allow appointment of Directors with such skills. But as organizations mature, roles need to change. Boards should not implement, but set goals and policies, hire CEOs, help raise funds, and oversee performance. NPCA needs a strong board and management, to assist Groups through excellent programs and services. NPCA, now 25 years old and somewhat established, is entering its next stage. It is mobilizing talent and resources to break out of its stalled membership plateau and grow dramatically. Most Affiliate Groups will remain smaller in structure and needs, with boards doubling as staff. But this familiar strategy has limits: Arlene Goldberg, an NPCA Director from New Jersey, laments, Many current Group Leaders have been the moving force of their groups for many years, with no one in sight to pick up the slack. Leadership burn-out IS a significant problem. Carol Rogers, Presidents' Forum Coordinator, reports: Of 155 Groups, few seem active throughout the year on PF issues, as gauged by listserv and e-mail participation. The current format of meeting only once a year for 2-4 hours is clearly inadequate as a legislative forum. There is little procedure or discipline in who qualifies to participate, in preparing for meetings, and in post-meeting implementation. Most Groups are run by boards consisting of volunteers who have busy lives and can easily burn out. While some Groups have fine programs, others seem to have difficulty knowing how to focus on issues beyond social events. There has been little support to date for Group Leaders on how to use their limited resources most effectively. So, we aim to strengthen the Presidents' Forum as one means of helping them more.